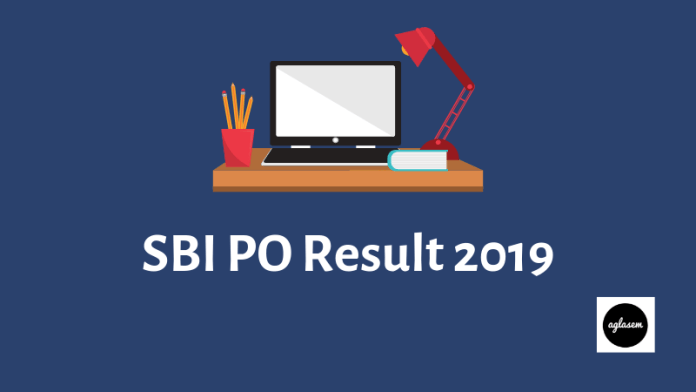 SBI PO Result 2019 – Candidates can check result of SBI PO for preliminary exam, main exam, and final selection in July, August, and October respectively at sbi.co.in. Login with either roll number or registration number and date of birth. 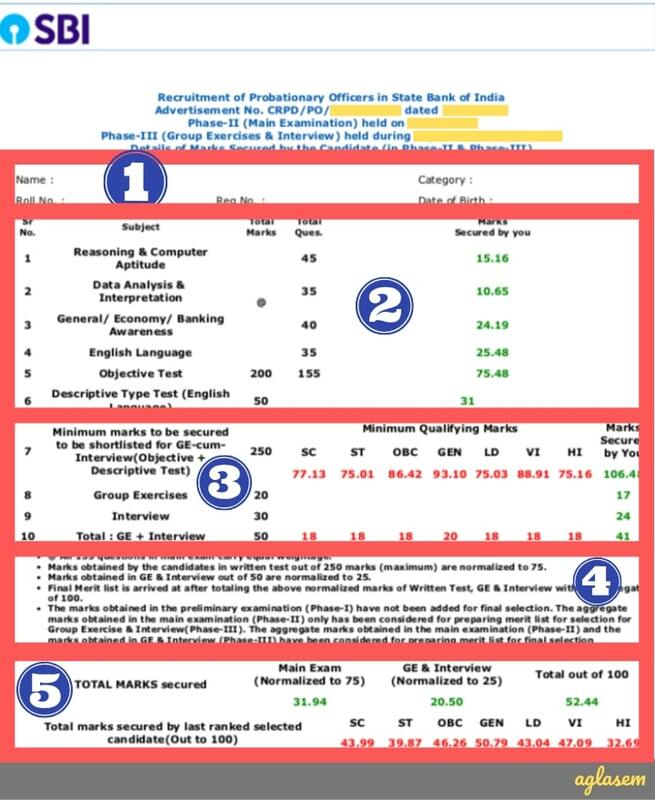 SBI PO Result indicates marks and cut off. Last time prelims cut offs for general, SC, ST, OBC were 56.75, 49, 43, 54.25 respectively. Candidates must qualify prelims to appear in mains, then mains for interview. Selection is on basis of marks in mains and interview. Get here information and latest news on SBI PO Result 2019 including date, cut off. 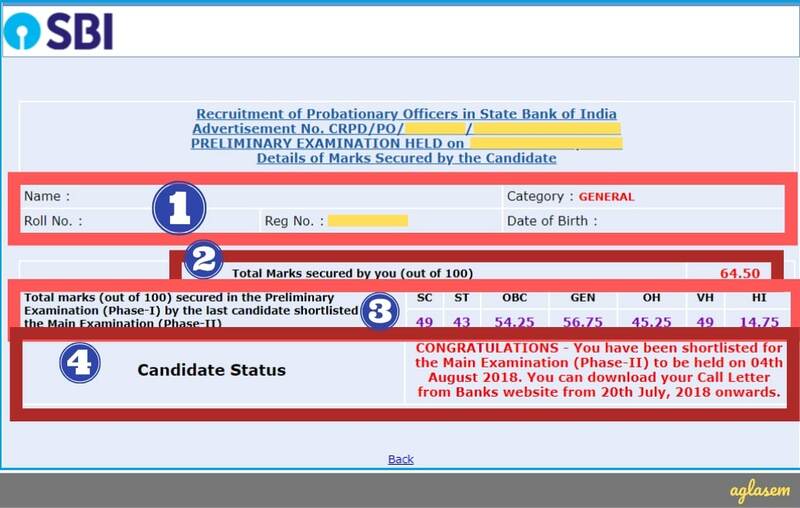 State Bank of India (SBI) Probationary Officer (PO) result 2019 is announced in online mode and can be checked at login. Declaration of results are as per following timeline. Around 10 lakh candidates appear in India’s most coveted bank PO exam. Last time SBI PO exam was held on 1st and 8th July, and result was announced on 18th July. Therefore this time it is expected that result of SBI PO Prelims could be announced by 26th June 2019. Check Here: Candidates can check SBI PO Prelims Result 2019 as per schedule at www.sbi.co.in. 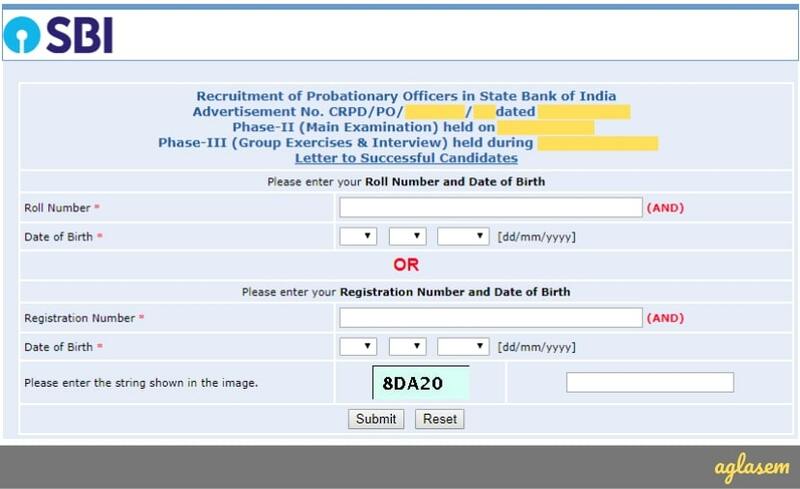 Qualified candidates can download admit card of SBI PO 2019 Mains. One should also start focusing on preparation for online main examination from the date of declaration of prelims result. How to check SBI PO Prelims Result? 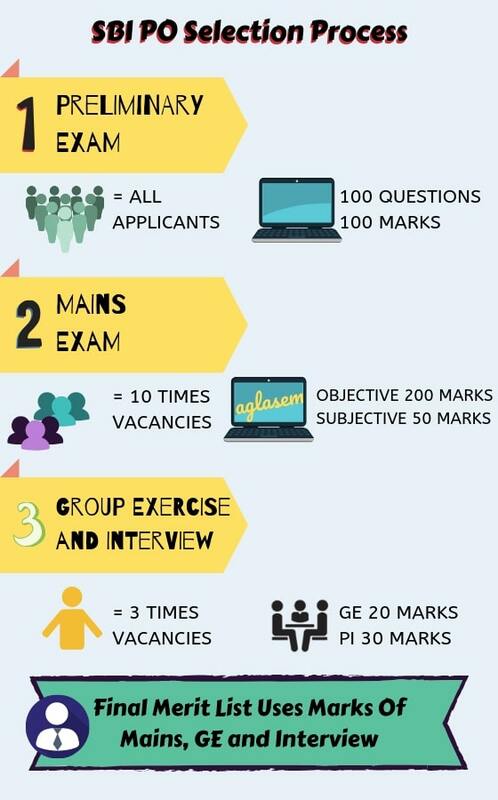 In order to check result of preliminary examination, simply follow steps below. First of all, visit ongoing recruitment page at SBI Careers. Then click on link for result of preliminary exam to reach login page. Now enter roll number or registration number. Then enter date of birth. Login to check result and download scorecard. 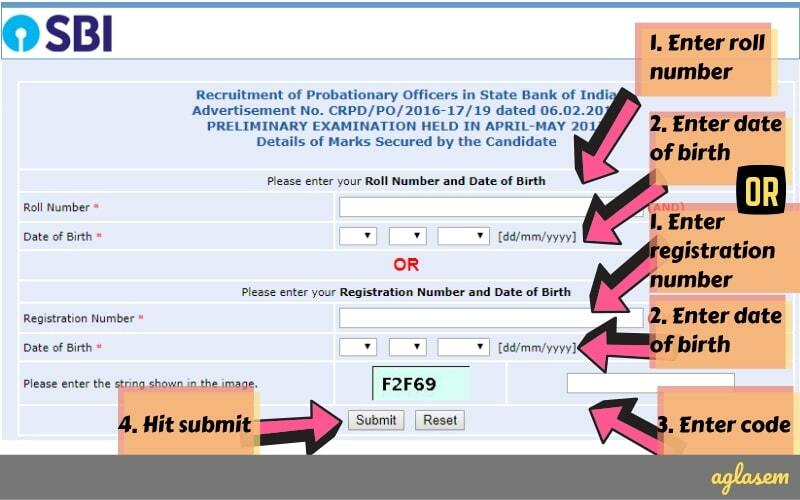 The result of SBI PO 2019 Mains Exam shall be published in the form of a PDF file containing roll numbers of candidates qualified for Group Exercise and Interview. For example, take a look at last time’s SBI PO Mains Result – Click Here. At the time of publishing mains result, SBI does not disclose cut off or score. That is made known after final result. If you are serving in Government/ Quasi Government Offices, Public Sector Undertakings including Nationalised Banks and Financial Institutions then you need ‘No Objection Certificate’ from employer at time of interview. Upon selection, you need to provide proper discharge certificate from employer. Candidates who are selected for post of Probationary Officer in State Bank of India are disclosed through final result. A PDF file containing roll numbers of selected candidates is published. For example, you can see last year’s final result here – Check here. After final result, SBI publishes marks secured by candidates. Candidates can check marks they got in mains exam, group exercise, and interview via login. When marks secured by candidates is published, cut off of mains and GE PI is also released. Heartiest congratulations are in place for all candidates who clear overall cut offs. As long as they fulfill eligibility criteria, they get selected. Candidates who are successful can download letter for the same from website. A separate login link is activated for it. Login page to download success letter looks like this. Candidates can check cut off of SBI PO 2019 one by one for prelims, mains, and final. In the meantime, you can see past year cut offs below. For overall cut off, Mains marks normalized to 75 and GE PI marks normalized to 25. Candidates may note the overall and category wise vacancies is as follows. State Bank of India launched an online certification course two years ago. For all POs, this course adds knowledge of basics of Finance and Banking Business. Candidates get an email communication about it. A weightage of 100 marks is given to this course. Probationary Officers have to undergo continuous assessment process in the bank before they get confirmed for services in SBI. Candidates need to complete the course within a deadline. Those who are unable to do so may get an extension of 30 days. In any case it has to be completed within 30 days of joining the bank. Candidates who join SBI as Probationary Officers may know details of emoluments. At the moment, starting basic pay is Rs 27620 (with 4 advance increments) in the scale of 23700-980/7-30560-1145/2-32850-1310/7-42020 applicable to Junior Management Grade Scale-I. POs also get DA, HRA / lease rental, CCA, Medical and other allowances. Other allowances and perquisites are as per rules. CTC of official shall be minimum of 8.2 LPA and maximum of 13.08 LPA. Exact CTC depends on place of posting and other factors. A SMART compensation package may be offered by SBI subject to approval, that allows one to monetize specific elements of the salary package. Upon clearing all assessments of PO, candidate become Junior Management Grade Scale-I (JMGS-I). Those who do exceptionally well can also be in higher level at Middle Management Grade Scale-II (MMGS-II). However services of such candidates are terminated who do not meet expectation. If you have been selected as a PO in SBI, then you need to execute a bond of value 2 lakh to serve SBI for at least 3 years. In the event of you resigning before end of 3 years from date of joining, bank shall invoke the bond.